The Cloth Hall in Ypres was one of the largest commercial buildings of the Middle Ages, when it served as the main market and warehouse for the Flemish city's prosperous cloth industry. 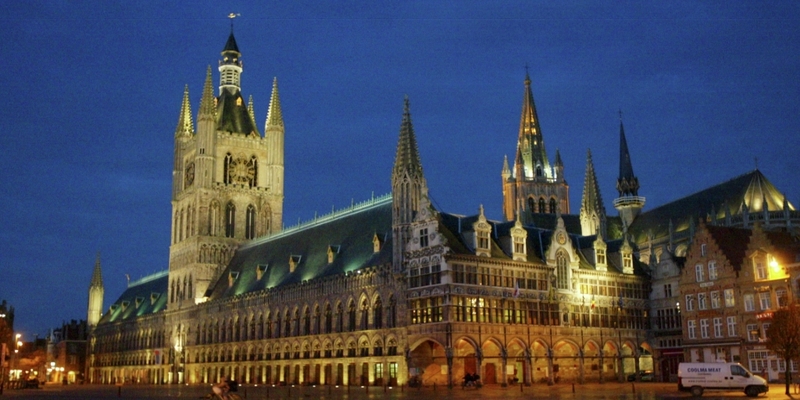 The original structure, erected mainly in the 13th century and completed 1304, lay in ruins after artillery fire devastated Ypres in World War I.
the hall was meticulously reconstructed to its prewar condition. a memorial to the 55,000 soldiers who went missing in action during the First World War. 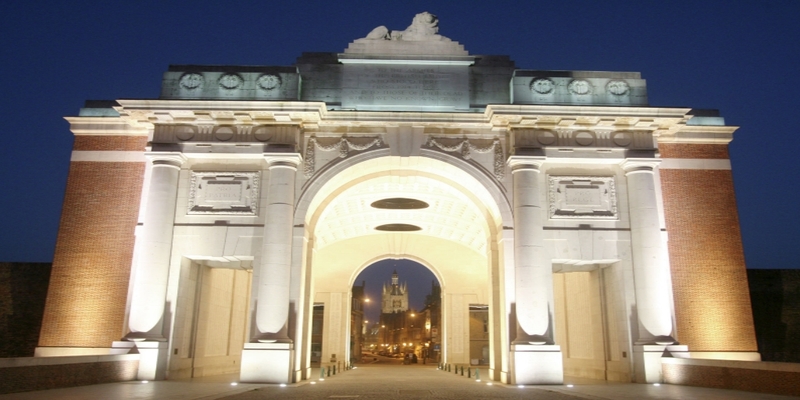 The structure itself is a colossal stone archway with the inscription of the names of the British and Commonwealth soldiers who went missing during the war. a tiny chapel, a hidden treasure. The chapel is full of fantastic artwork dating back as far as medieval times. along the canal, enjoying peaceful surroundings and plenty of benches along the tree-lined path. The ramparts themselves date back to the 17th Century and were used to fortify Ypres when it was just a village. 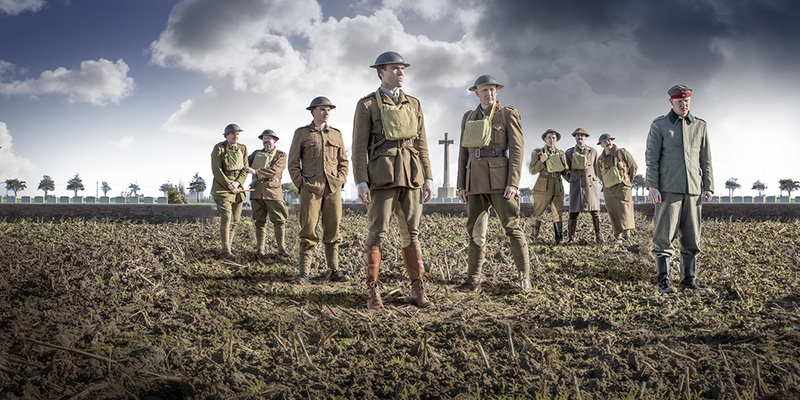 This moving ceremony takes place daily at 8pm in remembrance of the soldiers who lost their lives in the First World War. The tradition started back in 1928. 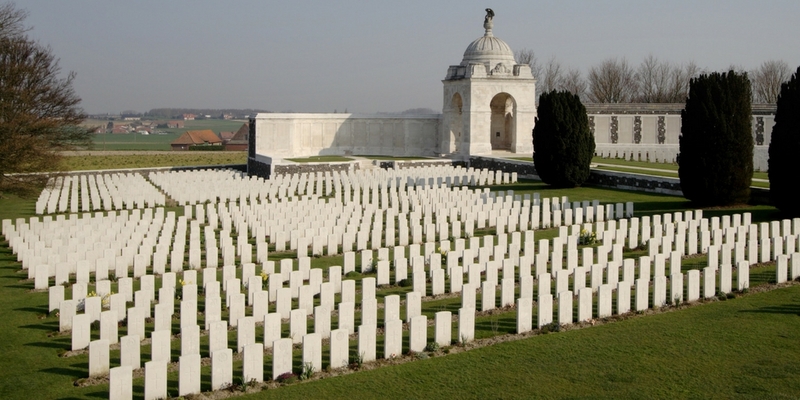 Ypres was the scene of destruction and loss on an epic scale for four years throughout the First World War. Talbot house: an elegant mansion. ‘A home away from home’, a place where every soldier was welcome, and an ‘Every Man’s Club’ accessible to all, no matter their rank. Hop Museum: in this impressive building hops were inspected and weighed. On a huge display case on the ground ﬂoor more than 2000 different beers are nicely presented by region. ‘In de Vrede’, the café directly opposite the St Sixtus Abbey. 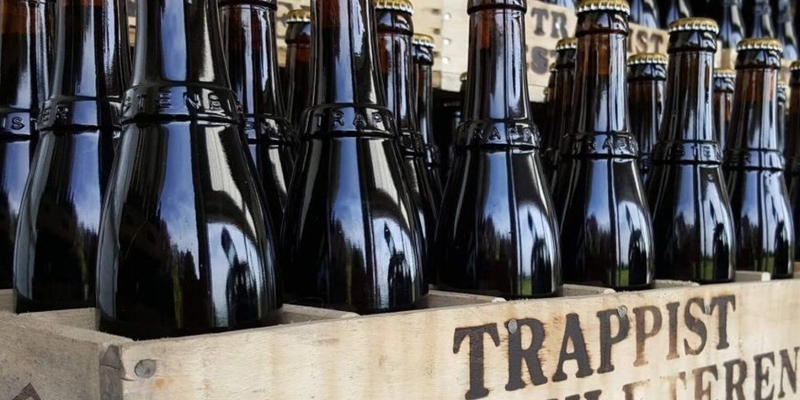 Here you can taste those famous Trappist beers which enthused the whole world.